Заглавие: Heuristic algorithm for HP folding in HP model. 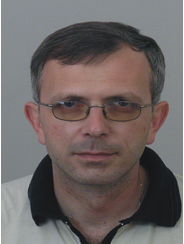 Описание: Yanev, N., Milanov, P., Yurukov, B. Trenchev, I., Traykov, M., Proceedings of the MASSEE International Congress on Mathematics – MICOM-2015, September 2015, Athens, Greece, 31. Заглавие: Analysis of the Human Resources of the Food Subsectors Through Benchmarking. Описание: Trencheva, M., Traykov, M., Trenchev, I., Proceedings of the Fifth International Scientific Conference – FMNS2013 12 – 16 June 2013 Faculty of Mathematics and Natural Science, South-West University “Neofit Rilski” Blagoevgrad, 2013, 1, 175 – 178.